On April 21, during his federal-racketeering trial, Siale Angilau, an alleged member of the Tongan Crips gang, rushed toward a witness who was testifying against him. Witnesses say Angilau was holding either a pen or a pencil and, in the eyes of the U.S. Marshal who fatally shot Angilau, the writing instrument was a deadly weapon. Angilau died that day, but in the aftermath of the shooting, a new movement was born. 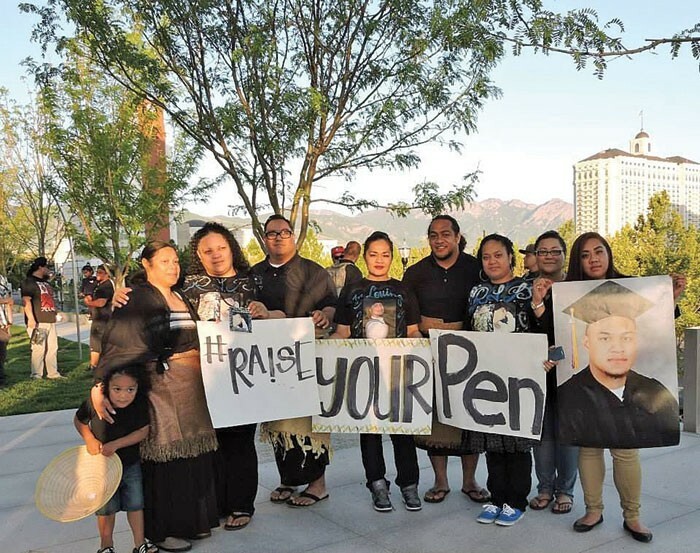 Initially, the youth of Salt Lake City’s Pacific Islander community created the Raise Your Pen Coalition in search of answers regarding Angilau’s shooting, but it’s now become a larger social justice movement. “We’re doing this, not as saying raise your pen in violence, but to raise your pen for justice and accountability and education,” says coalition coordinator Dee Tuakalau. Tuakalau says Angilau’s passing has galvanized the community. Rival gang members attended his funeral, she says, bringing gifts in a traditional sign of respect to the family, and also to signal a truce. More importantly, she says, it helped push Pacific Islander youth to realize they need to speak up and change the narrative about how they’re perceived in the community. “This time it’s different; we’re trying to let our voice be heard in a different light,” Tuakalau says. After Angilau’s death, Tuakalau says, roughly 80 members of the Pacific Islander community gathered at NeighborWorks Salt Lake, a west-side affordable housing and advocacy organization, struggling with questions about whether such force was necessary, or if there’d been a verbal warning before shots were fired. 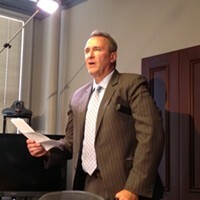 Many also questioned the use of hefty federal racketeering charges for the gang. As City Weekly previously reported, Angilau’s attorney, Michael Langford, described his client’s convenience-store robberies as “beer runs,” not crimes done to further an organized criminal organization, which the charge of racketeering was designed to target. The FBI has not yet released details about the investigation into the shooting, but that hasn’t stopped the Raise Your Pen Coalition from asking the questions, or from holding workshops and events to raise awareness. The organization has hosted workshops with the American Civil Liberties Union of Utah to help community members understand their rights, and in June, Raise Your Pen held a march for justice and a peaceful vigil outside the federal courthouse where Angilau was shot. NeighborWorks Salt Lake Executive Director Maria Garciaz says she’s been active in west-side communities for 30 years and has never seen a Pacific Islander youth movement like the Raise Your Pen Coalition. Angilau’s death hit home especially hard for coalition member Inoke Hafoka, whose younger brother was swept up in the same federal prosecutions that targeted Angilau. At Hafoka’s brother’s sentencing, the judge had him separated from other gang members and sent to a federal penitentiary, where the 23-year-old was stabbed to death by another inmate. That was in 2010. Hafoka, 28, still doesn’t know the details, and imagines the answers are in a file sitting on someone’s desk somewhere, just as the answers to Angilau’s death might be. Like others, Hafoka questions the decision to charge the group with racketeering, saying the “punishment should fit the crime.” But to him, the more important cause is fighting stereotypes. “If you’re a Tongan raised in Glendale, you’re almost at a disadvantage because already the stereotypes and labels are out there that, ‘Oh, this guy must be Tongan Crip,’ or ‘This guy must be part of a gang,’ ” Hafoka says. It’s a label he doesn’t want for himself, his son or his west-side home. “A lot of time, the mentality is that being from Glendale and Rose Park is looked at as a deficit, that in order to succeed or be accepted by the mainstream society, one has to leave the community, one has to forget about things that are occurring,” Hafoka says. The coalition, now picking up speed and looking to incorporate as a nonprofit, is one whose members won’t forget about home.